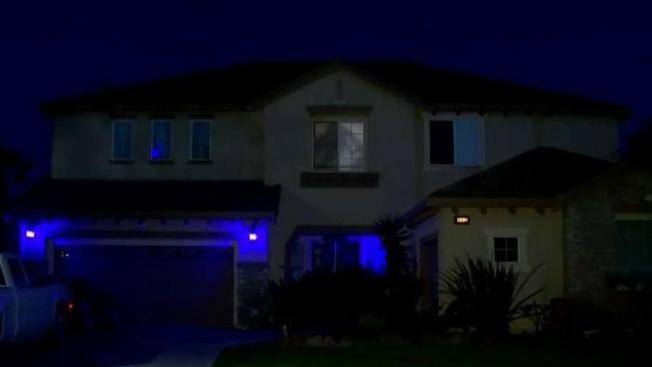 An East Bay woman is claiming victory Tuesday on behalf of her autistic son and autism awareness in general after she was given the “okay” to leave blue lights outside of her home for Autism Awareness Month. Terry McSweeney reports. An East Bay woman is claiming victory Tuesday on behalf of her autistic son and autism awareness in general after she was given the “okay” to leave blue lights outside of her home for Autism Awareness Month. For the past 10 years, every month of April, Lisa McBride turns her outdoor lights blue in honor of Autism Awareness Month but last week, her Home Owners Association (HOA) told her they violated the exterior modification rules. The community rallied around the McBrides, the East Bay Time and Yahoo News picked up the story and on Monday, the HOA wrote Lisa again.